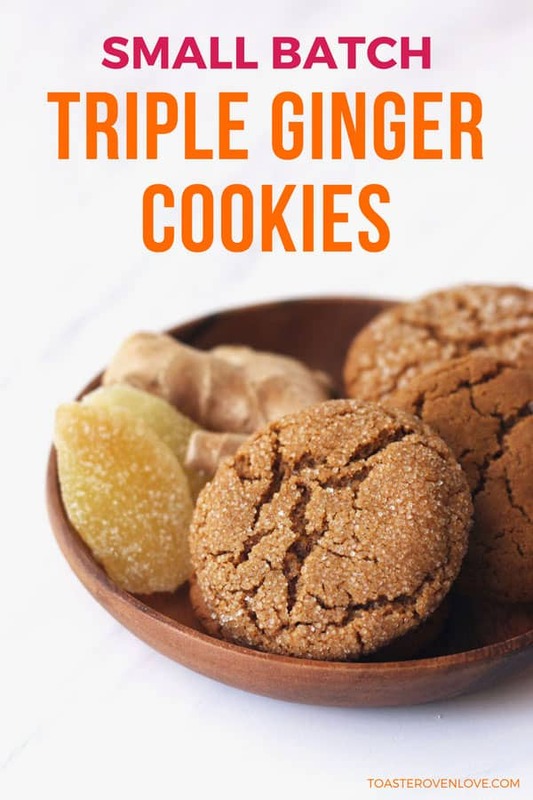 These Triple Ginger Cookies are crispy, chewy, and absolutely irresistible! Go ahead and indulge, the recipe makes just six cookies – so no leftovers. Raise your hand if you love ginger cookies!! 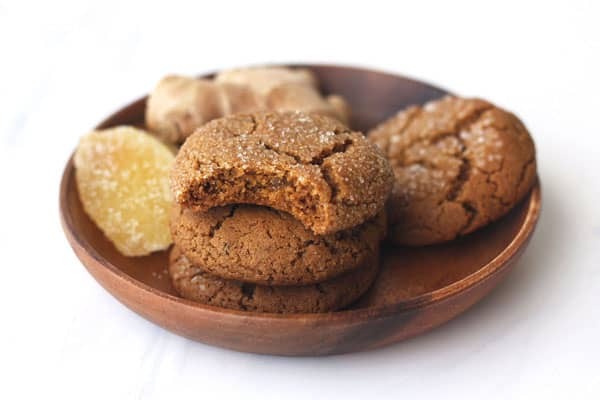 Crispy, chewy, fat, or thin – I LOVE a good ginger cookie. But making a homemade batch usually means dozens of leftover cookies for our 2-person household. So I was beyond thrilled when a reader (Hi, Cheryl!) requested a small batch version and immediately got to work adapting my favorite Joy of Cooking recipe into a little batch of 6 warm and spicy Triple Ginger Cookies. While the texture is one of my favorite things about these cookies (it’s the perfect balance of crispy and chewy) the real SUPERSTAR here is all of the ginger. Not one, not two, but three types: ground, fresh, and crystallized (or candied). 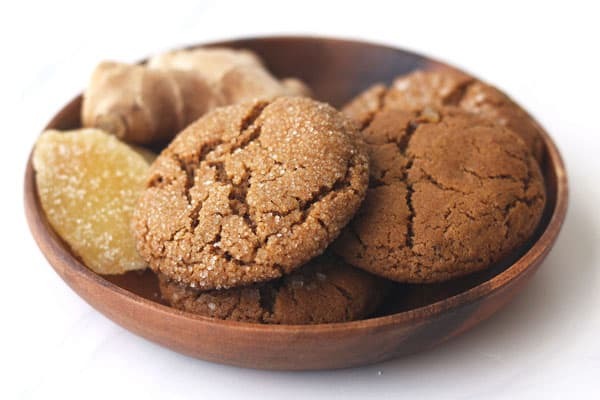 Each cookie is loaded with so much great ginger flavor it will stay with you long after the last bite! 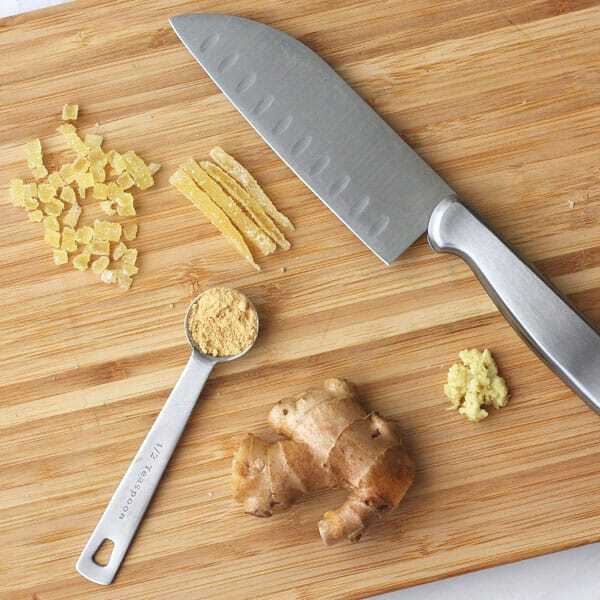 Finely grate the fresh ginger, I used a citrus zester and it did a fantastic job. If you’re working with a regular box grater, use the smallest holes and give the grated ginger a good mince. Crystallized ginger has a spicy bite, chopping it into tiny pieces helps to spread out that unique in-your-face flavor. You only need 1 tablespoon of beaten egg. Please don’t try to add a whole egg – it will not be pretty. 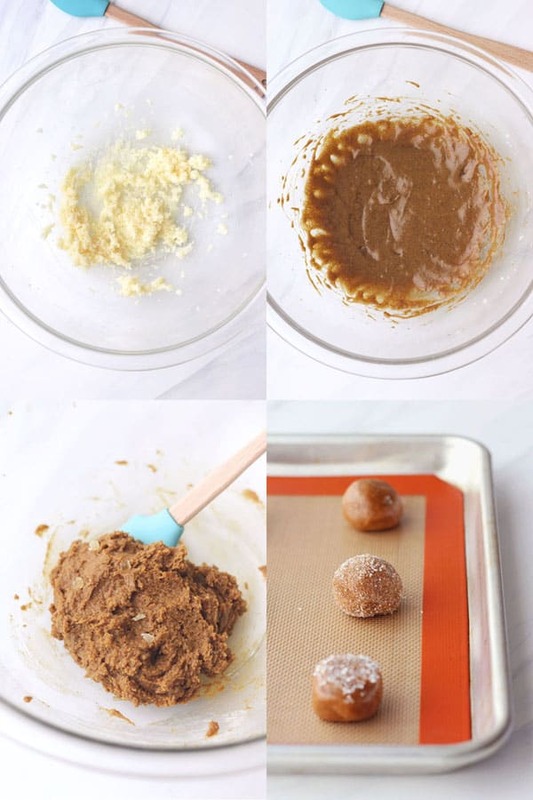 For a premium bakery-style cookie experience you can roll the dough balls in sugar before baking. Though my sister (a fellow ginger fanatic) actually liked the ones without sugar better so maybe try it both ways. I know that leftover egg is kind of a pain. To make sure it doesn’t go to waste you could bake another small batch of cookies like these Chocolate Chip Pecan Oatmeal Cookies. I tend to just toss it in a frying pan and then add the cooked egg to a salad or toaster oven grilled cheese sandwich for lunch. Speaking of toaster ovens…why heat up the house with your big oven when your toaster oven can get the job done better and faster! Never baked cookies with your toaster oven before? Use the middle rack position, it’s the best position to use for baking toaster oven cookies, donuts or muffins. No middle rack? That’s okay, the bottom rack works too, just check on your cookies early. Take the cookies out when the edges are firm but the middles look slightly underdone. That’s how you get a perfect cookie with crispy edges and a chewy middle. 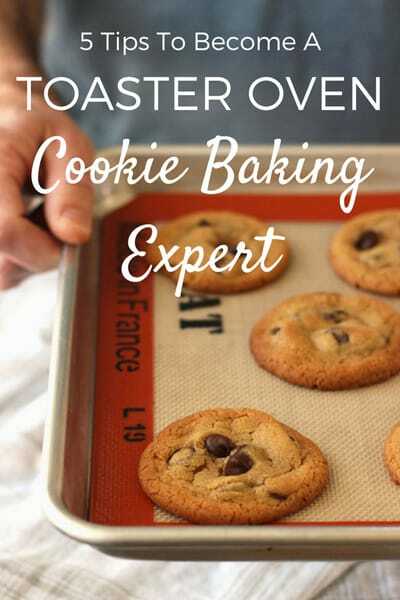 For more baking tips check out our 5 Tips That Will Make You A Toaster Oven Cookie Baking Expert. Digging the idea of satisfying your sweets cravings without lots of tempting leftovers? Make sure to check out some of our other small-batch dessert recipes, like these lemon olive oil cupcakes (6 servings) or blueberry mango crisp (4 servings). You can make both of them in your countertop oven or toaster oven too! i do love ginger! it’s a close second to cinnamon in my list of favorite spices, but it has an edge here because it comes in so many different forms! love these!